Clear Lake, the latest Denver new home development from Delwest, is a community steeped in history and tradition. Located on the grounds of the former Clear Lake Middle School, the homes are built with care and quality to show respect to those who built and shaped the city of Denver – and the thousands of students it has educated. Clear Lake pays tribute to the administrators and teachers of Clear Lake Middle School with the names chosen for each Denver house for sale: the Goodbary, Anderson and Ranum. Both J.L. Goodbary and Wayne Anderson served as principals at the school, while Iver Ranum was the Superintendent of Adams County School District 50 from 1950 to 1975. These public servants were dedicated to making Adams County and its children good global citizens. 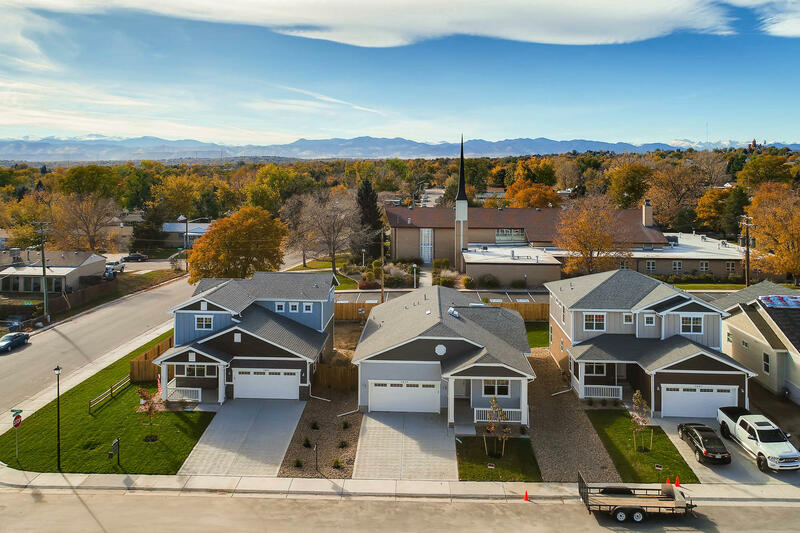 At Delwest, we worked diligently to ensure that each of the Denver homes we made in their name – and on the land they once stood on – is equipped not only with every modern convenience but also with the not-so-modern. The wide lanes for riding bikes. The backyards for creating memories. The front porches for building community. With prices ranging from the $400s, each house for sale is also expertly engineered to feature modern amenities, oversized 2-car attached garages, stainless steel appliances, low property taxes, very limited HOA rates and rules, ample outdoor space and more. It’s our way of honoring the past while looking to the future. And it’s why we also have partnered with the Westminster Public Schools Foundation to proudly donate a portion of the sales price of each Clear Lake home. This money goes towards emergency needs, tutoring, special opportunities and scholarships for summer camps and higher learning. Buy the home that gives back to you – and our school district. Click here to schedule a showing today.